As every Halloween approaches, literary thoughts turn to Edgar Allen Poe. Yes, the guy could write a thrilling and creepy tale —no surprise, as he himself was pretty creepy. Lists of spooky books put out each late October are pretty male-dominated, like this one that lists only two books by women out of ten. There are lots of others like it. What’s annoying is that the standard lists of thrillers often overlook stories by women writers. 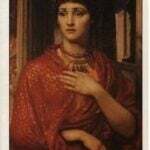 The sampling of haunting classics by women authors following will send shivers up the spine and at the same time, give your taste for great language a thrill. 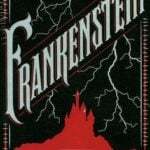 It’s hard to a imagine a character that’s gripped the public imagination more than Frankenstein. 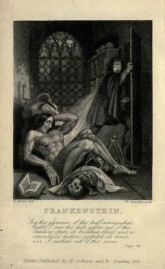 While countless Frankenstein monster costumes are trotted out each Halloween, not enough people connect Mary Shelley with the story. Barely twenty-one when the book was published in 1818, she would have been amazed at its staying power, nearly 200 years on. 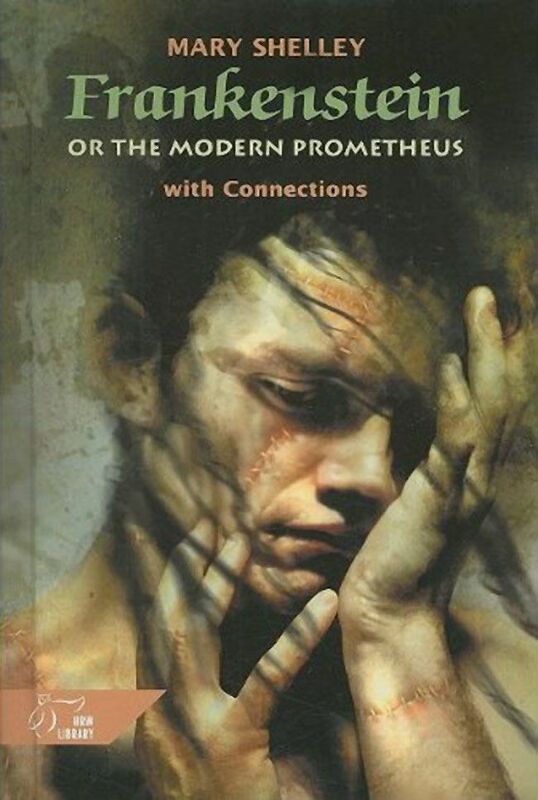 Disturbing but beautifully written, it’s the story of the tormented scientist Victor Frankenstein, and the consequences of creating a living being from dead flesh. 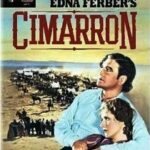 The Hollywood movie adaptation of 1931 is the one most emblazoned in the public imagination, but it strayed far from the book, turning an emotionally devastating masterpiece into a bit of camp. Daphne du Maurier wrote her share of psychological thrillers and dark mysteries. 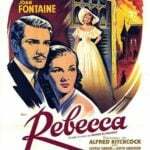 Two of her standouts are the novel-length Rebecca (below) Rebecca and the long short story, The Birds. 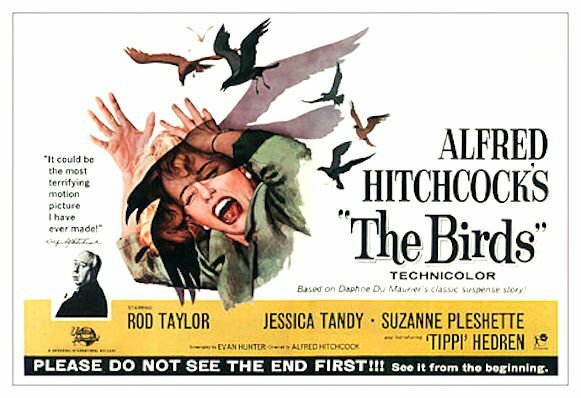 Both were made into eerie films by Alfred Hitchcock, though the Birds in its 1965 film version was rather bowdlerized by the master of suspense. The film version really freaked me out as a child, though now I know that du Maurier’s story is much better. 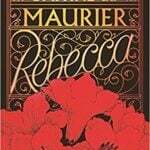 Another by Daphne du Maurier, Rebecca (1938), you’d be hard-pressed to find a more beautifully written psychological thriller. 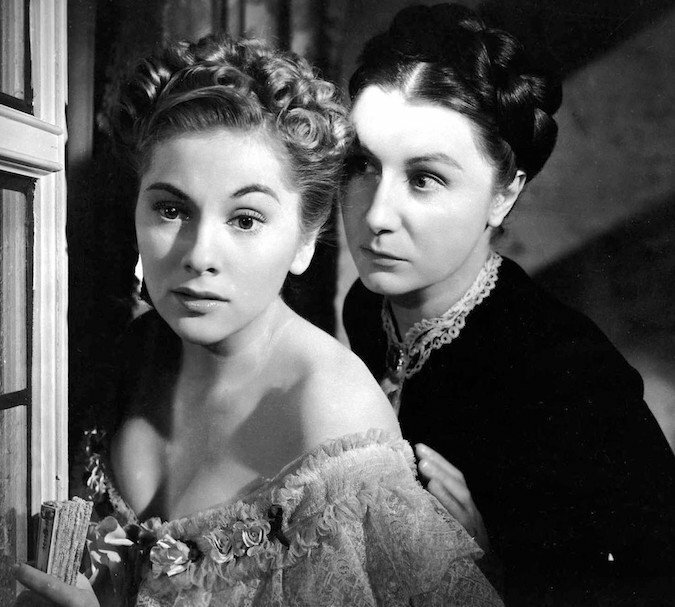 Rebecca, the mistress of the mansion Manderley continues to rule from the grave, assisted by her devoted and supremely creepy housekeeper Mrs. Danvers. The nameless narrator, the new Mrs. Maxim De Winter, does battle to find her place as the woman of the manor, yet anything might happen — even murder. The story combines wit, tragedy, pathos, and plenty of twists and turns. The 1940 film version is wonderful, too, though it changes an important plot element. Read the book first! 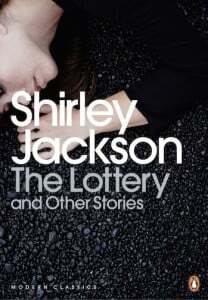 Do you remember reading The Lottery by Shirley Jackson in high school? It’s considered one of the most horrifying short stories of the twentieth century. When it was a kind of precursor to The Hunger Games, about the bizarre ritual of a small village. When it was first published in The New Yorker in 1948, readers were shocked. Somehow, though, the story had legs and is now considered a classic of modern American short literature. Similarly, We Have Always Lived in the Castle, and The Haunting of Hill House are designed to both thrill and unsettle. It’s easy to see why Stephen King has long cited Jackson as a prime influence. 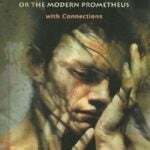 Patricia Highsmith produced fiction populated with sociopathic characters whose modus operandi is to ensnare not-so-innocent victims their tangled webs. Strangers on a Train (1950) and The Talented Mr. Ripley (1955), her best-known works, went on to become even better-known films. 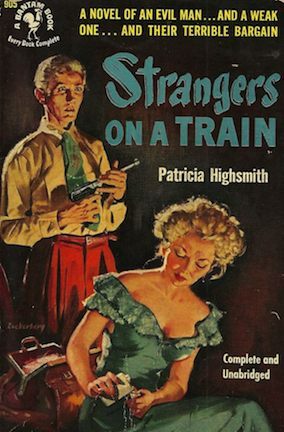 In these works and other novels and short stories, Highsmith’s particular brand of terror comes from quietly creeping disasters and morally ambiguous conclusions. The victims in her stories are often fascinated by the very people who seek to destroy them. Just like in real life — though more compellingly depicted. And finally, we must give a shout-out to Louisa May Alcott in this grouping. Wait — Louisa May Alcott, the same author of genteel girls’ novels like Little Women and Jo’s Boys? Early in her career, before she started the girls’ books, Ms. Alcott wrote thrillers under a pseudonym because they sold well, and she was the main support of her parents and sisters. 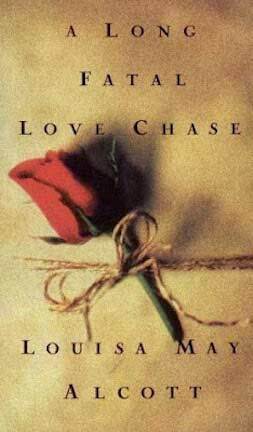 While they may not have been as terrifying as The Lottery or The Birds, her recently rediscovered thrillers, including A Long Fatal Love Chase and others, reveal a very different side of this beloved author.